Interesting/amusing claims on Thursday morning that Jack Colback could be set for a return to Sunderland. The midfielder is one of a lengthy list of players who Rafa Benitez has been desperate to get out of St James Park. The likes of Hanley, de Jong and Riviere have all moved on, with hopefully at least a few of Haidara, Krul, Darlow, Lazaar and Colback, set to join them on this deadline day. 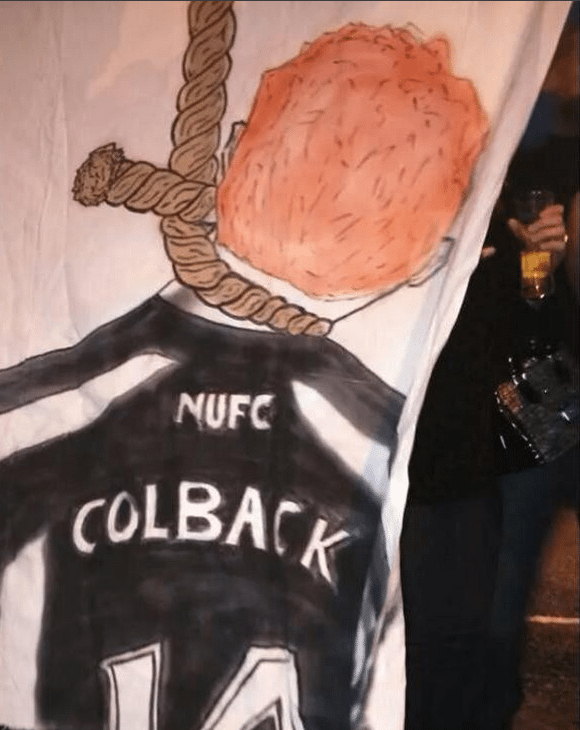 Jack Colback was one of those sent to train with the kids and wasn’t even included in the public training session at St James Park two weeks ago. Hull City had emerged as the favourites in recent days to ‘land’ Colback, with claims of a loan deal that would see Newcastle pay half of the midfielder’s wages. However, now it is claimed by The Sun that the Newcastle player could return to Sunderland instead on loan. Your first reaction would normally be to think that there is no way this is likely but after Lee Clark moved to Wearside back in the day, I would never rule anything out. Ignoring past history a loan move would make sense but then that would rely on totally forgetting the circumstances of his departure. Sunderland even released an official statement (see below) in June 2014 when Jack Colback signed for Newcastle United. The Mackems clearly feeling that they had been misled by the player and his agents, leading to them not receiving a penny when one of their first team players left. “Jack is a player we have nurtured and developed through our academy system since he was eight years old. “We gave him the opportunity to become a professional footballer and are therefore extremely disappointed in the events that have led to his departure from the club. “This wasn’t about money – the club agreed to all of the terms demanded of us during discussions and we were always led to believe that Jack wanted to stay with us. “At his and his representatives’ request, final talks were put on hold until the club secured its top flight status. “To our dismay however, we were subsequently never given the chance to negotiate with him to stay.